Wendell Blalack, 74, passed away on Friday, February 1, 2019. Wendell was born in Jacksboro, TX to Johnnie Iral Blalack and Audine Watson Blalack. 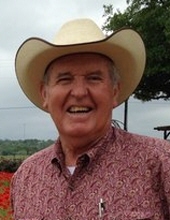 He graduated from Central High School in 1962 and attended Angelo State University. He served in the U.S. Army, 630th MP Company in Vietnam. He was a member of the San Angelo Fire Dept. for 25 years. And also worked for Porter Henderson Implement Co. and Case IH. He is survived by his spouse, Linda Elliott Blalack of San Angelo; children: Kimberly and husband Carlos Martinez of Wimberley, Sarasu and husband Zane Blackwell of Eden, Jeff Richardson of Wimberley, and Terry Richardson of Thorsby, Alabama; grandchildren: Garrett Blackwell, Stephanie, Megan, Gavin, Tillman, Roman, Chapman, and Solomon Martinez; Siblings: Sharon and husband John Sissel of Junction, Johnnie Blalack and wife Judy of Hobbs, New Mexico; Nieces and Nephews: Christy Lavergne, TR Sissel, and Mason Blalack. A Visitation will be held Tuesday, February 5th from 6:00-8:00pm at Harper Funeral Home. The Funeral Service will be 2:00pm, Wednesday, February 6th in the Harper Chapel. A Graveside service will be 3:00pm, Thursday, February 7th at Shannon Cemetery located in Shannon, TX. "Email Address" would like to share the life celebration of Wendell Blalack. Click on the "link" to go to share a favorite memory or leave a condolence message for the family.